The Pacific Coast Highway takes you through spectacular coastal landscapes, including Big Sur, the artists’ colony of Carmel and Monterey’s historic Cannery Row. 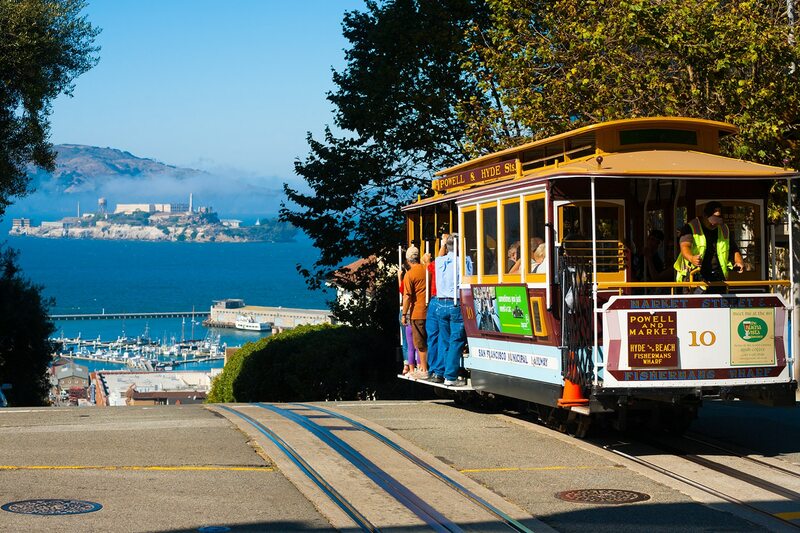 In San Francisco, the City by the Bay, ride the historic cable cars, admire the “Painted Ladies,” San Francisco’s Victorian homes, and stroll Fisherman’s Wharf. Crossing the majestic Golden Gate Bridge brings you to the magnificent redwoods of Muir Woods National Monument.